Still looking for the perfect stage this Christmas? 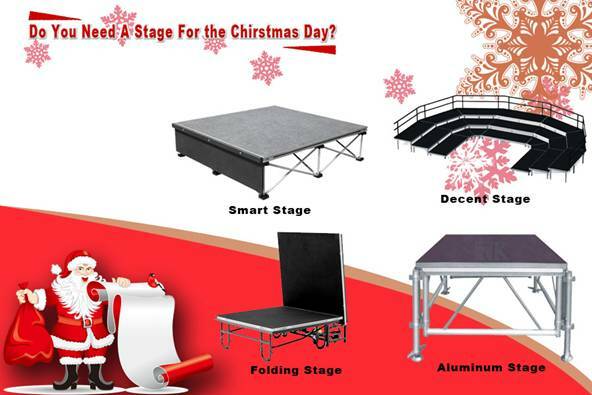 HOME > NEWS > > Still looking for the perfect stage this Christmas? Christmas is coming guys! Do you still feel headache on how to decorate Christmas stage? The best thing about memories is making them. Christmas still presents an chance to provide a stage design different from a regular day, and helps us dive deeper into the Christmas season as well. People use these simple stage pieces to set up a complete stage system. Combining these units with creative lighting, using colors to help set a mood, and create an atmosphere for worship. Simply adding a new focal point to a stage is usually enough to create a completely different “look” to your stage design. Take a look through our website for some ideas on how your venues could create an unforgettable set for this Christmas season.